It’s time for Pounders weigh in on what might be the biggest Spurs news of the last 2 decades. There’s no telling what is truly going on behind closed doors. 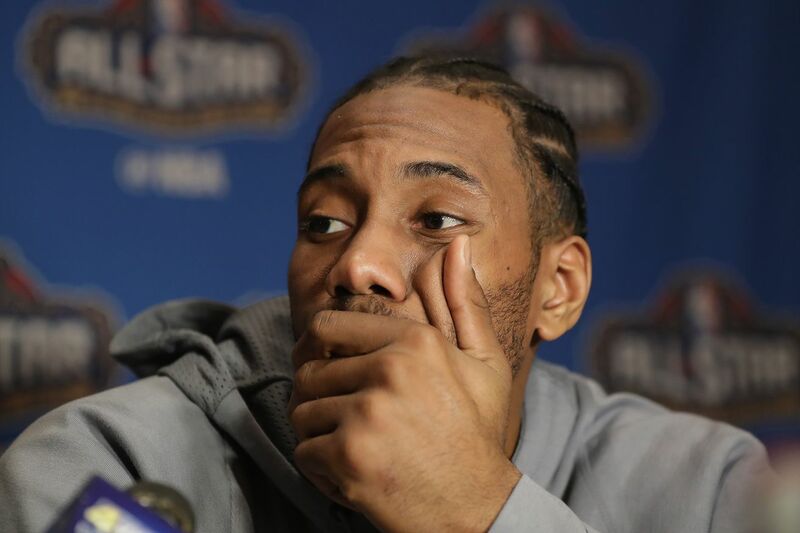 The rumor mill, click bait, or just flat out hearsay — whatever you may call it — is ripe with the belief this week that Kawhi Leonard wants out of San Antonio. True or not, we won’t know until Kawhi, the most silent of players this side of Timothy Theodore Duncan, speaks his piece. Short of a press conference with him front and center, Spurs Family, wait until head coach Gregg Popovich confirms or denies what is out there. Until then, you can literally pick your opinion and find it out there on the web. If…IF…(I repeat if) the Spurs decide after meeting with Leonard that a trade is truly what lays ahead, then 29 teams will be clamoring for the opportunity to put a package together to acquire the two-time Defensive Player of the Year. At this time, the Los Angeles Lakers and Boston Celtics have been pegged as frontrunners to acquire The Klaw. But each team has key players who could be valuable on the Spurs team. Let’s be honest, trading a fully rehabilitated Kawhi Leonard for anyone other than Kevin Durant, LeBron James, Anthony Davis, or maybe even Russell Westbrook is the automotive equivalent of trading a Bentley for parts to what might be a really good Cadillac. That said, it’s time for Pounders to weigh in on what would be an ideal trade for the Spurs #2. For today, we will focus on the Eastern Conference. What do you see as the best scenario for the Spurs parting with Kawhi Leonard?